Hi, I am AI and Blockchain-Powered SummarizeBot! Let me summarize any kind of information for you. Share with me links, documents, images, audio and more. No need to install a new app. SummarizeBot is always ready to save your time. 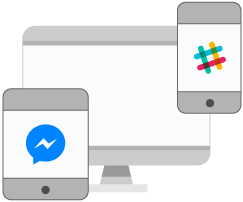 Share your information with AI-powered SummarizeBot via Facebook Messenger or Slack. Get the result in seconds! Cutting edge artificial intelligence technology will process it in real time. Enjoy your summary, the most important keywords and key phrases. The better version of your information will be generated by extracting the most important parts of it. Get news summaries. Just type "latest" or "news" + subject and the bot will propose the latest news accordingly. Enjoy the most important keywords, that allows you to understand in seconds what the content is about. Get to know more by going through the top extracted key fragments. Choose your perfect summary size. Download, save or share your summary for free. Enjoy your perfect AI-powered summaries. Our unique scientific-based algorithm allows everyone to be more efficient and effective. We use the most groundbreaking technologies to provide you with the best result on the market. Learn more about technologies we use. Share your audio content with the bot and get your summary in seconds. See full list of supported files and languages here. We support almost every language including English, Chinese, Russian, Japanese, Arabic, German, Spanish, French, Portuguese, etc. Please see full list here. We can summarize information almost from any file format, including pdf, mp3, doc, txt, jpg, etc. See full list here. 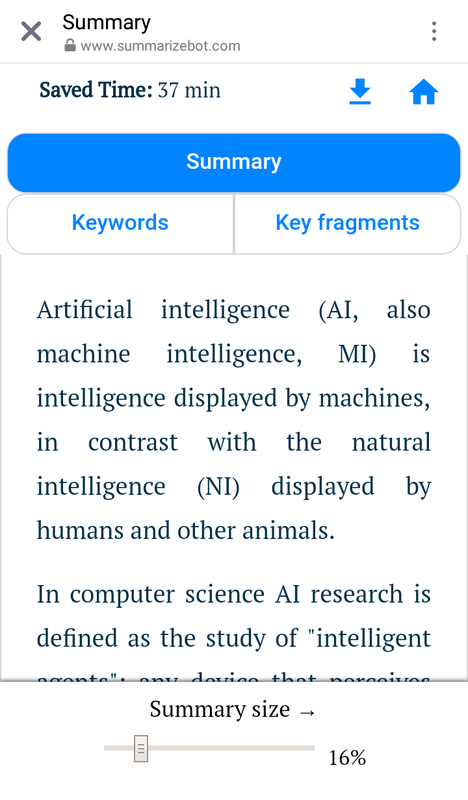 Our AI-powered SummarizeBot can extract and summarize information almost from any weblink. Who Can Benefit from our Summarization Technology? Summarize your long texts, papers, researches, weblinks, etc. Save time and be more productive. Just summarize it! Extract the most important information in seconds. Identify keywords and key phrases. Just summarize it! Save time and efforts by extracting and analysing the most important. Let us help you to be more productive. Use our technology to summarize books, articles, press-releases, analytical reports, documents, reviews, descriptions, claims, requests, etc. How about to get group chat summary at the end of the day? It's being tested now! The feature is being tested now and will be unique on the market. We are going to bring more security for information processing. The feature is being about to be released. Integration with major messaging platforms is being tested.